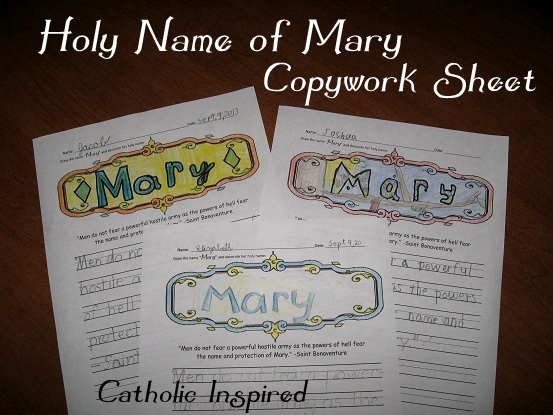 This FREE DOWNLOAD is a copywork page with a quote about Our Lady's Holy Name, Mary. Choose the one that works best for your student! At the top of each page is an area for the kids to draw and decorate the Holy Name of "MARY". It's a perfect quote! See how it speaks of the power of Our Lady's name!